After hours of research, I finally came up with a method for displaying Picasa photo gallery thumbnails in Google Sites. The default Google Sites Picasa gadgets (single photo and album slideshows) were not flexible enough (in my humble opinion). My solution was to utilize the new html hosting features of Google Drive and linking, via iframe, to the exported Picasa folder. It requires a few steps, but the final product is impressive. It even adapts (responsive) to mobile devices! 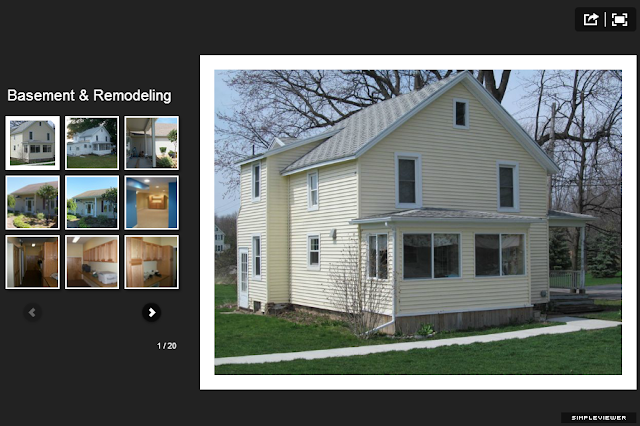 Note: The free version of SimpleViewer has a limit of 50 photos per gallery.